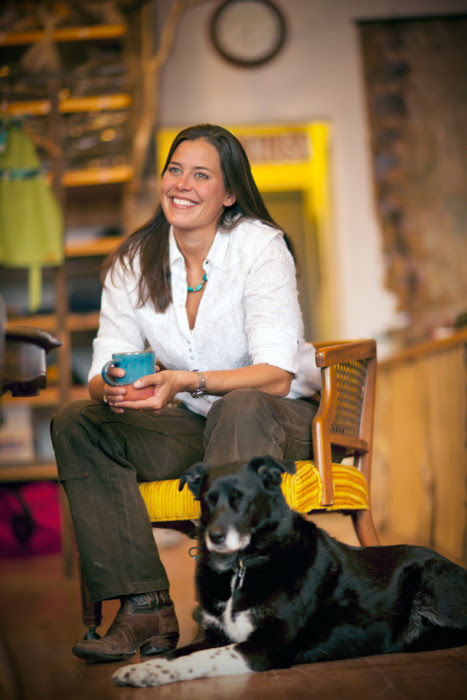 Sarah Calhoun, founder and owner of Red Ants Pants, has nearly two decades of leadership experience in both the non-profit and small business sectors, working in the outdoor education industry before founding Red Ants Pants in 2006. From her home in the small town of White Sulphur Springs, she has become an inspiration for her dedication to supporting rural communities. Tired of wearing men's work pants that didn't fit, Calhoun designed pants that would fit, function and flatter working women. Red Ants Pants is based out of White Sulphur Springs, Montana where the storefront, distribution center and international HQ all reside. Known for their grass roots marketing efforts, including 'Tour de Pants,' the direct sales model is proving effective. She has also been called a "revolutionary figure in rural business today" and a "powerhouse of inspiration for women in business." Her dynamic style and inspiring experiences have helped her rise to the top echelons of success as a rural entrepreneur, and she is paying it forward by actively encouraging and mentoring other women in starting their own businesses. *Members of the Salt Lake Chamber: to receive the member discount you need to log into the event registration website using your membership username and password. If your company is a member of the Salt Lake Chamber, but you are having trouble registering, it could be that we do not have your email in our system. We can help fix that. Please email Becky at info@slchamber.com or events@slchamber.com or call the Chamber at (801) 364-3631.